Phil Mickelson’s compelling final-round 66 to win the Open Championship at Muirfield is one of the most extraordinary rounds ever played in a major. His five-under score was seven strokes better than the average posted by the field (73.21), with an even greater margin over the other players who entered Sunday within ten strokes of the lead (73.72). When he teed off, he was five behind the leader, Lee Westwood, with eight players ahead of him. Those eight turned in scores of -1 (Henrik Stenson), +1 (Adam Scott and Zach Johnson), +3 (Angel Cabrera and Tiger Woods), +4 (Lee Westwood and Hunter Mahan), and +8 (Ryan Moore). Mickelson crushed them all; on the back nine alone, his 32 bettered the rest of the field by more than four and a half strokes (36.63). 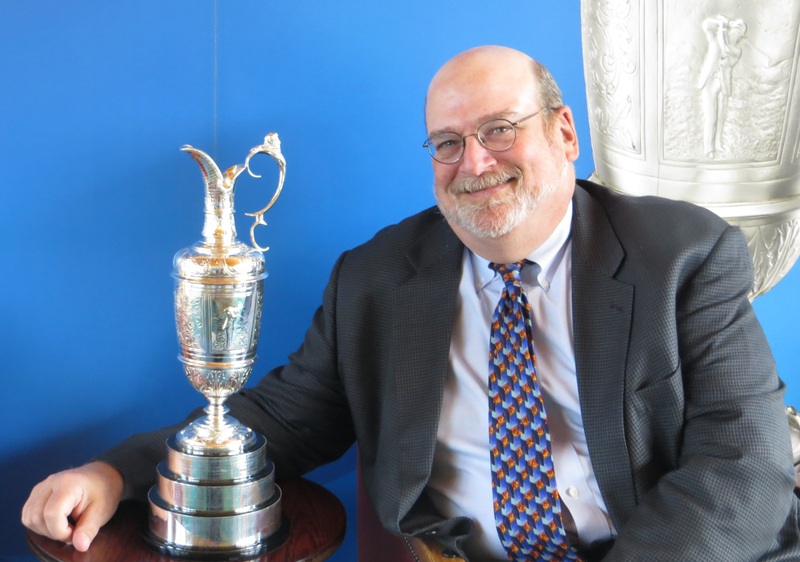 He is a worthy addition to the roster of champions crowned at Muirfield: since 1950, Gary Player, Jack Nicklaus, Lee Trevino, Tom Watson, Nick Faldo (twice), and Ernie Els. Mickelson said afterward that it was the best round of his life. It may have been something more: It may have been the round that changed his legacy forever. That’s quite a claim, considering that Mickelson is already in the World Golf Hall of Fame. It’s his forty-fourth win (including two on the European Tour), his twenty-fourth top-5 finish in a major, and his fifth major win, tying him with Seve Ballesteros, Byron Nelson, James Braid, J.H. Taylor, and Peter Thomson, one behind Trevino and Faldo. Yet Mickelson has long been dogged by his failures in the majors rather than his accomplishments in them. He took part in 46 majors before he won one. His losses, especially at the U.S. Open, have been ignominious, marked by big mistakes and curious thinking. At Merion a month ago, he held the lead with eight holes to play, but bogeyed the 121-yard 13th, flying his tee shot over the green, and scored another bogey on 15 despite having a gap-wedge second shot from the middle of the fairway. At Torrey Pines, he decided to play the longest course in U.S. Open history – in his old backyard no less – without a driver. He arrived at Merion after a one-day jaunt back to San Diego for his daughter’s eighth-grade graduation, his plane landing in Philadelphia less than four hours before his first-round tee time. Most regrettable of all was his final-hole meltdown at Winged Foot, when he had a one-shot lead and banged a driver off a hospitality tent and then compounded the error with a questionable gamble that hit a tree, ending with a double-bogey that handed the trophy to Geoff Oglivy. But Muirfield now wipes Winged Foot off the slate. Mickelson didn’t win the Masters until he learned to choose the run-and-check pitches the layout usually demands, rather than relying solely on his beloved flop shots and ultra-lob wedges. The situation was even more acute at the Open Championship, on hard-and-fast links that make the roll of the ball as important as its flight. Phil still thrills, but he has seen the wisdom in adapting to changing circumstances and conditions. His creativity is now an asset rather than a burden; he has continued to grow as a golfer, his game more varied and also more under control. Mickelson has now won three majors since turning 34. Only four golfers won more after passing that birthday: Player (4), Nicklaus (6), Sam Snead (6), and Ben Hogan (8). The total for Tom Watson, Seve Ballesteros, Gene Sarazen, Bobby Jones, Byron Nelson, and Tiger Woods? Zero. At the presumptive halfway point in their careers, Phil Mickelson was a lovable screw-up who couldn’t win the big ones, while Tiger Woods was a steely-eyed killer crushing everything in his path. But a career isn’t defined until it’s over; people are capable of change, legacies established from the whole of their actions. There’s time enough for countin’ when the dealin’s done.